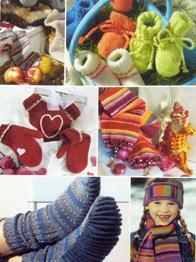 30+ patterns for socks, moccasins and baby bootees with comprehensive guide to sock knitting. 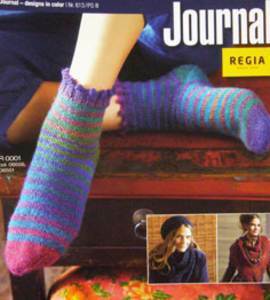 Includes toe socks, cable and textured socks, intarsia flower designs and classic Argyle pattern. Most in 4 ply. 20 pages plus photos. 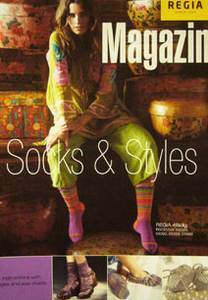 21 patterns for socks for the whole family with clear guides to sock knitting. 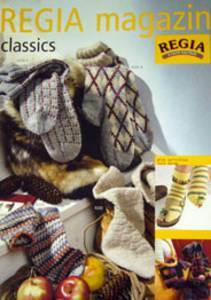 Includes lacy chevron, lace and lace and cable designs, snowflake intarsia, spiral socks, cable and texture designs, plus house slippers and baby bootees. Most in 4 ply. 20 pages plus photos. 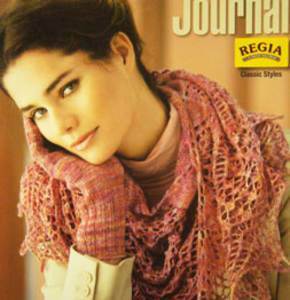 12 designs for a range of accessories featuring Regia Hand Dye Effect 4 ply yarn. 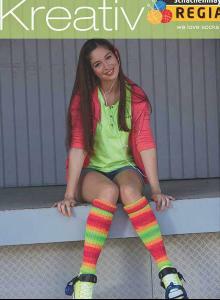 Includes overknee socks, armwarmers, collar, cowl plus socks and scarves. 12 pages plus photos. 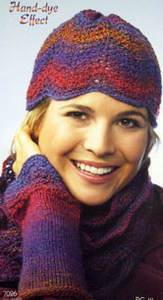 10 designs, mainly socks but also lace edge shawl, hat, scarf and legwarmers, showcasing Regia Hand-dye Effect yarn. Instructions given for adult size with guidance on how to vary size. 16 pages plus photos.